Rinse your mouth with a solution of one-half teaspoon salt in a cup of water. If bleeding does not stop, press a piece of gauze against the injured area for 10 to 15 minutes. Hold ice to the area for 10 minutes to relieve pain and reduce swelling. See you dentist in Brisbane for immediate treatment. Dentists are trained to look at and repair damage to the gums, lips, and other soft tissues in the mouth. Using the latest technology to deliver pain-free dental treatments, your reliable dental care partners here at Precision Dental can address your dental emergencies effectively and immediately. Some stitches might be necessary to close the wound and manage the bleeding. Also, we will make sure that the area is washed thoroughly and that any debris is removed to prevent further infection. For urgent care and attention during these unforeseen circumstances, contact your dependable emergency dentist in Brisbane here at Precision Dental. We are always ready to accommodate patients who need our immediate attention. 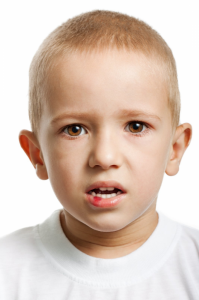 We can provide you with a comprehensive solution for your family’s dental emergencies. Call us today on (07) 3852 1160 or book an appointment online.